Why Argentine as your wedding dance? In India, we are used to dancing on Bollywood. Try something different and unique. Whether it is the couple who is getting married or father and daughter or mother and son, it will look innovative, different, creative and graceful. Tango is a social, couple dance. It is rhythmic, musical and melodious. Tango spells love, passion and commitment. What could be better than to start your journey of wedding life together? For men, who do not know how to dance or are shy of dancing, or have no experience in dancing, it suits them perfectly. It is similar to walking gracefully with your partner. There is a concept of lead and follow. Tango brings you together and creates a wonderful bonding. You start communicating unsaid words. You will be able to be with each other in a comfortable embrace that would not look awkward. We can create a beautiful choreography for your wedding dance in just 4 weeks. Be ready to impress your guests with the way you sway together gracefully on the floor. We will pick beautiful tango or Tango-vals song for you. 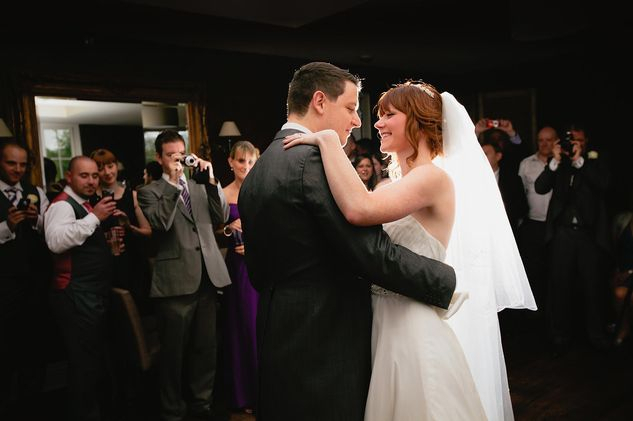 Create a wedding dance that will be remembered forever.